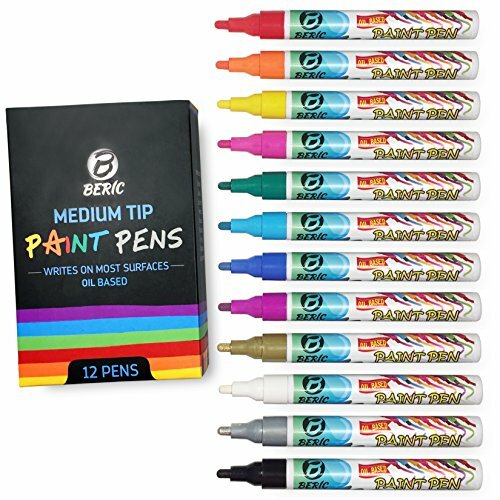 What separates Beric Paint Pens from the rest? It's really simple. It starts with our amazingly bright inks. We've gone to great lengths to find ink that is efficient and has incredible color. Versatile - they write on almost any surface including; wood, plastic, rubber, canvas, glass, and even metal! Wide Range of Use - Ideal for art and home use. You can even write on canvas shoes, skateboards, surfboards, household tools, etc. Order Beric Paint Pens Now and Uncover The Creativity In Yourself! If you have any questions about this product by Beric, contact us by completing and submitting the form below. If you are looking for a specif part number, please include it with your message.